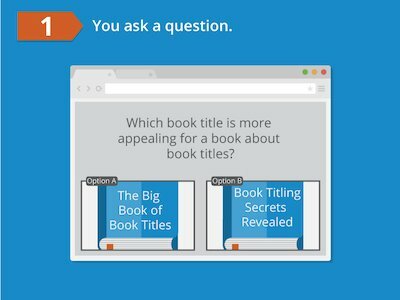 Get concrete feedback on which book titles and covers people like. Test market your book listings quickly and privately with our unbiased audience. I think this description pulls you in and keeps you intrigued from the very first sentence. I personally find the disease angle more interesting and I like that it mentions this angle first. I might disregard the other before giving it a fair shot due to the first sentence being about it setting in the future, which does not interest me at first glance. Both are pretty terrible, too long and not gripping, but B is a little better. It gives some information about what Connor is up against and the disease affecting him. There feels like there's more story to be had in B. I like how B ends inviting the reader to discover mysteries and go on Connor's journey. I choose option A because the description is straight to the point. It summarizes what the book is going to be about, in the perspective of the character and a brief synopsis of the story. I believe that these descriptions should be short and concise to catch the reader's attention. B sounds more like a story and like something that would grab my attention... I don't like the wording of A. Immerse yourself in... that's not the best way to start a synopsis. I want to actually get an idea of the story not a generic statement of how I should feel about it. Which book description would make you want to buy the book if you read it on an Amazon book sales page? The first paragraph in B makes a statement that sounds like the reader doesn't have any self-confidence because they don't have one or more of the things that are listed. Self-confidence isn't the only thing that contributes to believing in yourself, etc. Also, I probably wouldn't buy the book based on the statement "it's not your fault". So where do we place the blame? Should we even be placing blame somewhere else or taking the blame for things that are our fault, self-confidence being one of them. I like that it is more descriptive than the other. It also states you will never have to buy another book again which I really like that they are that confident in their book. The first line about failing is really to the point and would really draw a person who has self confidence issues to want to pick up the book. I like the title more--it is clear that the book will help me, instead of just maybe being a study of confidence without any practical tips. The language in B is also more straightforwardn and direct, which I like as well. Which text is better for the back-cover blurb about a novel titled, "Athena's Choice" ? Would you want to read this novel? Starting with the main character makes the story sound more interesting in my opinion. Option B is almost clinical, like a news report where I might read the headline for the most relevant facts and then not bother to read the actual article to learn more. Option A however gets the reader invested first in Athena, and then reveals that there are multiple layers of mystery within they story. It makes me want to learn more. Option B: does not make me want to read any further. Description B makes the product seem more exciting. It also explains the big-picture social issues that the product addresses, which makes me what to see how the story is resolved. It focuses less on the individual character and more on the general ideas behind the work and that approach appeals to me. Also, I think description A gives away too much information and I like stories with the element of surprise left intact. I chose A because the first paragraph definitely grabbed my attention more than B did. I did not like how B already revealed the cause of men disappearing from the earth. Option A just reads easier, like a YA type book should. Option B is a little too wordy for my liking, especially the line "...features clear prose inter-spliced with futuristic 'original documents'...". That doesn't really tell me anything. I chose my selection because it is better written. It grants agency to the characters and makes me become familiar with the characters in the novel (in a sense root for them) instead of just hearing what the story is about. In addition, the other text is written in short, concise sentences and doesn't read like a book summary that is meant to draw the reader in. It gives no sense of adventure. The book description is way much better and easy to remember. It looks like this book drama has action, characters that could become my favorite ones as soon as I am getting involved in the reading of this book. I would learn a deep meaning for the fate of their people and how they value them. I like this option because it's less story narrative and more to the point narrative. I get a more sense of the book and what it contains as opposed to the other one that seems like an excerpt from the book itself. Im not a big fan of fantasy books, and choice B had a better introduction that drew me in before i realized it was fantasy and therefore might be more willing to read it. The first statement is catchy and is like a cliffhanger. You want to know what Jack lost and how he has the chance to get it back. The first paragraph is the same in both options and I think its a great introduction/story background. I prefer the shorter version in Option A for the second paragraph because it gives more mystery without giving too many details. I like the italic statement (it may be good for a book cover) and the statement in bold font is more engaging and appealing. The format in the description in option A is more appealing as well. I chose Option B because it was the more vivid and enticing summary of the book. Option A seemed to be trying too hard to sound like a movie trailer. You can almost hear the deep voice saying, "In a world where the dangerous man is one who lost everything but has a chance to get it back..." It was like a summary for a Liam Neeson action thriller. Option B was more thoughtful and focused more on the family that the main character is trying to protect than adjectives and literary explosions. Option B repeated "mystery" a lot. A is shorter, so it's better as a blurb or in a list that includes other books. Both descriptions try to sell the book as a thriller, but Option A is more on-tone "Vulnerable new partner" is more appealing as a thriller than "feisty sidekick". Combined with "quirky characters" and "these two underdogs must put aside their differences", Option B sounds like it can't decide whether the book is a thriller or a comedy, but Option A is consistent. Which description would make you click buy? The way in which the narrative unfolds is far more engaging in Choice B than in Choice A. Initially the reader is given hints, then more and more detail is supplied. The story is quite intriguing. I want to know more after each paragraph. The love interest is more prominent in Choice B, which many readers will find attractive. This one goes into more details of the book and makes it sound much more exciting. I like the way it tells more about Enrique too adding even more drama to the book. This option also stated the age of the star of the book so you get a heads up of how the book will start to unfold from a teenagers eyes. I find this description to be more descriptive and compelling, while choice A appears more emotionally manipulative and less informative about the content. I prefer to know more about the content of a story before a purchase, and am turned off by more blatant emotional manipulation. It just got my attention better from the very beginning. If I was browsing books the other option would be something I would glance and skip over, where as this one the description caught my attention from the start and I would read it. this one just immediately caught my attention, especially the mention of underwater LA, while the other was just like every other YA novel out there. sure, i could do without the romance, but it just sounded more interesting. 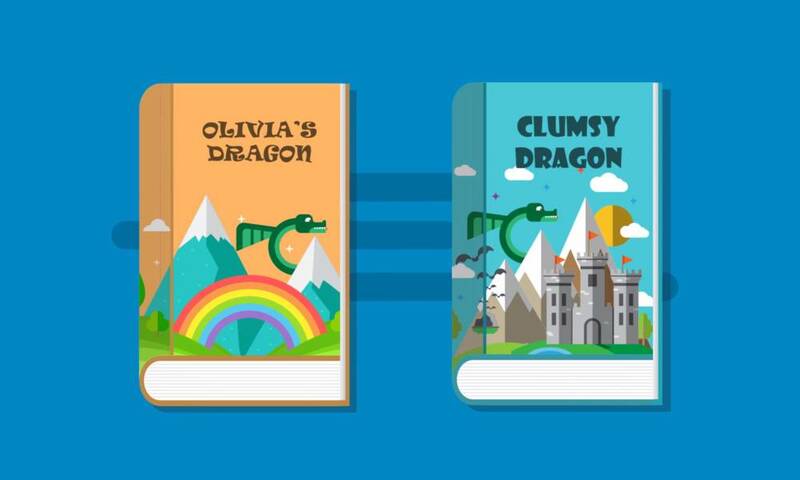 Which book blurb do you like best? The blurb was better describing the story line to a point. Option A kind of lost me on the first sentence. Option B was to the point. In my opinion the word "Gothic" has several different meanings and could be perceived differently by people. If I'm already looking through a horror category in literature, I do not need to be told its a horror story. A leaves enough detail vague as to inspire the reader to examine the text. B reads more like an outline for a screen play or script. The action is laid out in a formulaic system and there is less desire to read the book to learn the story. I get more information from blurb B. I get the year, a little more backstory than blurb A, and a better flow than in option A. This blurb is easier to read because the sentences are shorter and there's a lot less commas - which I appreciate. The description is much more exciting and really got me into reading it. I think I would enjoy reading this book very much so by this description. Very well written and gives just enough info to make you want to read this book. It sounds more interesting like Sara has a secret past that will later be revealed in the book. And just the relationship she forms with Jenny and Sunami sounds like they could possibly save the the community. Option B grabs your attention right away with the first line and gives you a better understanding of what the book is and what it has to offer. Option A would grab a person's attention more and make them more likely to continue reading the description. Option A would appeal to a wider audience of readers and make them more interested in purchasing the book. This is based on personal preference. The idea of free will being an illusion fascinates me. I'm a hug fan of Sam Harris, and this is a central topic of his podcast, his books, and his public speaking. As soon as I saw the topic at Free Will at the beginning of option A, I became intrigued. I chose B because it is more concise and easier to understand. It is also more relatable. The "fly on the side of a rotating cart" bit doesn't really grab the reader or make much sense, despite being the title of the book. That would be better explained within the book itself. This blurb is more descriptive. It have captivating language that draws me into a thought. That thought is of Amit's journey. What will it be and what will we see? Where as option B is less descriptive and reads more like an advertisement. A screams "The Twilight Zone" introduction to me, which is a fantastic way to introduce someone to a journey in an articulate and intellectual way. Comparatively, B seems like a sales pitch that's strangely direct to the ready for a blurb. Option B sounds like it was written by a high schooler, trying his/her best to emulate adult literature. The writing is choppy, there are few (if any) transitions between sentences, and even though it does pick up in the second half, the first part took away any desire I had to to read the book. By comparison, Option A reads like Dostoevsky. I feel the descriptive language used in Choice B invokes more emotion to me as a potential customer. It really emphasizes to me that this will be a gritty, intense thriller which digs deep into the main protagonist. I prefer Option B, because I like that idea of the main character being a good guy, but having a life that is filled with hardship. I think the character would be much more interesting and appealing. A pulled me in more, made me want to pick up this book and read it. B just didn't not sure if it just isn't as gripping of a description or if after reading A it just didn't measure up. Option A is more appealing. Not only is it more professionally written, it makes the story sound more interesting by leaving a little mystery to the events included in the story. Option A helps us to know what Jack is thinking and what he cares about immediately at the beginning of the description. It also gives us more information. Would you buy this ebook? It honestly looks like a marketing scam to me. The color pattern, the bullets, all the points and factors and all the color just screams infomercial to me. It also elaborates way too much and the cost is a bit high even for a book on self help or helping with blogging. It's priced as a college text book price may be priced, but the material provided and information looks as bad as a sham-wow commercial. I'd definitely buy it. I'm in the beginning stages of blogging for the company in which I work, and I'd love to know how to do a great job, step by step and it sounds like the e-book in the description above would help a lot. No, I don't think this product is right for me. I tried doing the SEO game for a while and while I do think that these manuals serve a purpose, I generally don't like using a blog to put a fake persona out there. Absolutely not. I see nothing new here and it just seems like a giant ad. It is also over 40 dollars which is not even close to reasonable considering the amount of free information on this topic out there. I have loved PickFu and recommended it to dozens of people already. I've used it to quickly iterate ideas and have some data to make decisions. I'm a huge fan and will definitely continue using it for various projects. I highly recommend PickFu to the authors and aspiring authors I work with. Having the ability to objectively split test book covers and book titles from an unbiased audience is vitally important. Book titles and book covers can significantly impact purchase conversion, and a non-fiction author's thought leadership. Being able to test these factors is peace of mind. 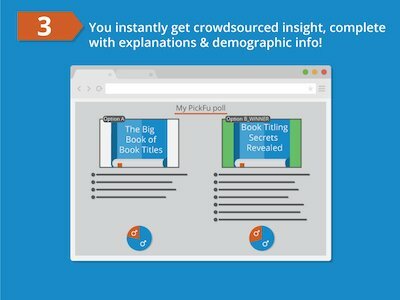 I use PickFu to split test book titles and covers. It's been extremely helpful to know what readers prefer before I self-publish my books on Amazon. It enables me to make better decisions without relying purely on intuition. Thank you for your vision and creating PickFu. As a businesswoman, financial coach, author and speaker, ​your company ROCKS! I write prolifically and need somewhere to go to get unbiased opinions from strangers that aren't just flaming my ideas because they had a bad day. It is the most helpful advice I can get when coming up with titles for books, headlines, and book covers. The diversity of the information and honest feedback is delightful. I've used the polls to help me narrow down a book title and soon I'll be using them to assist with my logo for my 8th business as well as the tag line for a new course I'm offering. 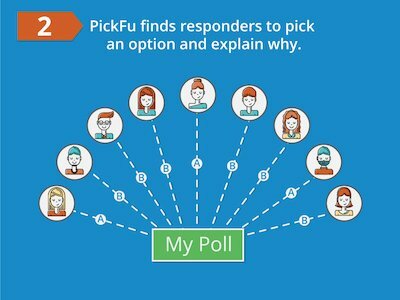 I was very impressed with PickFu. There were things I didn't expect: (1) I could choose the gender and age group. (2) Your age groups match the age groups that my Scribe Content software uses. Great. (3) The responses included a reason. That alone is super valuable and gave me a few branding ideas including images and copy tone. (4) You also broke down the respondents by education and income level. Wow -- I didn't think $70 could by so much happiness. This was money sooooo well spent!